COPENHAGEN, Denmark – The Danish bicycle market outperformed the European market in 2012. Overall sales in volume declined by just 2.68%, while the market in the EU-27 countries declined by 5.6%. 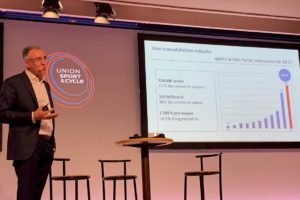 “The difficult market situation in 2012 continued in 2013,” says Thomas Johnson, Managing director of the trade association Danske Cykelhandlere. “In Spring 2013 many retailers reported that sales were behind 2012 levels and although the summer sales were good they could not gather up. In 2012 the total Danish market amounted to 490,461 units, compared to 503,966 in 2011. 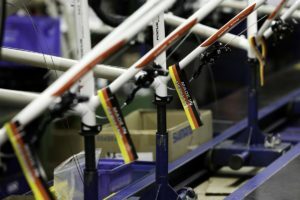 In the same period, bicycle imports went down with 2.6% – from 525,342 in 2011, to 511,662 units. The breakdown by bicycle category shows a remarkable revival of the MTB. In 2010 the MTB still represented just 11% of the market. 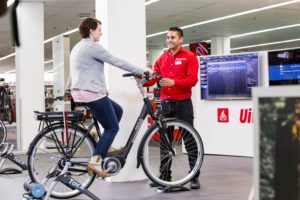 That has grown to 17% last year, making it the third biggest category after classic Dutch type (20% in 2012) and internal gear hub bicycles (35% in 2012). 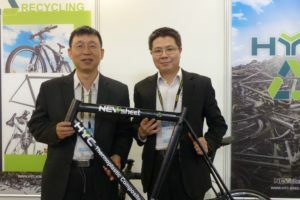 The growth of the e-bike market has more or less stabilized, registering 4% of the total sales in 2012 as well as 2013. It is not clear why the Danish market can’t keep up with the growth for this new category like in Germany. In Denmark the e-bike is still often the choice for older people. 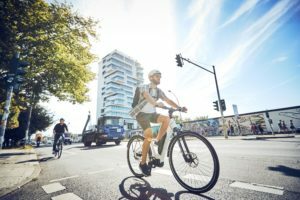 In the recently published Transportvaneundersøgelsen (National Travel Survey), based on the bicycle counts and cycle index from the Danish Road Directorate, together with the cities Aarhus and Copenhagen, it is clear that cycling is growing in the cities, but not on the countryside. In the cities the growth in cycling is generated by young people (10-15 years old) and not by adults (16 – 74 years). In 2011 the bike is used for around 14% of all trips or 20% of trips to go to work or to a sport facility. Young people cycle more than the adults. They use their bike for 33% of all trips or 49% to go to school or a sport facility. In the Copenhagen/Frederiksberg metropolitan area the growth of bicycle use shows a clear trend up from 27% in 1995/1996 to 31% of all trips in 2011/2012.